All concrete slabs are subject to cracking. Even the best laid concrete will crack over time because of the way it sinks and settles on the ground. Concrete leveling can help correct these cracks and prevent them from becoming severe, but you still need to expect cracking to happen no matter what. 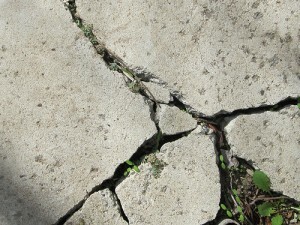 In this article, we will look over some of the common causes of concrete cracks and what you can do to avoid them. During the winter, your concrete will freeze and thaw repeatedly with shifts in weather. The ground underneath the concrete will also freeze and thaw, changing the foundation that the concrete sits on. If you live in an area with particularly moist soil, the chances of this happening are even greater. Over the course of several seasons, the concrete will eventually give out under the constant changes. You can use sand on your concrete to minimize this freezing process, but make sure you don't use salt. This will actually increase your chances of cracking because salt accelerates the freezing and thawing cycle. When concrete is exposed to sunlight for prolonged periods of time, it will expand and move because of the heat. When the sun goes away at night, the concrete contracts to its original size. This is much like the way the wood in your home expands and contracts. We may not see a lot of extreme heat in the summer here in Michigan, but there are still days when the temperatures reach 90 degrees or more. This is enough to cause the concrete to crack. Sealing your concrete can help it to maintain its temperature throughout the day, which will help you avoid cracking. Invest in quality concrete sealer when you have your concrete installed, and your slab will last a lot longer. Most concrete slabs are laid out with control joints, which are basically pre-planned cracks. These are areas where the concrete is made thinner than it is in other parts of the slab, which means that it is more susceptible to expansion and contraction. Keep an eye on your control joints for signs of cracking because those should be the first areas to show problems. If you notice cracks in your control joints, consider investing in concrete leveling to correct the issues before they get out of hand. 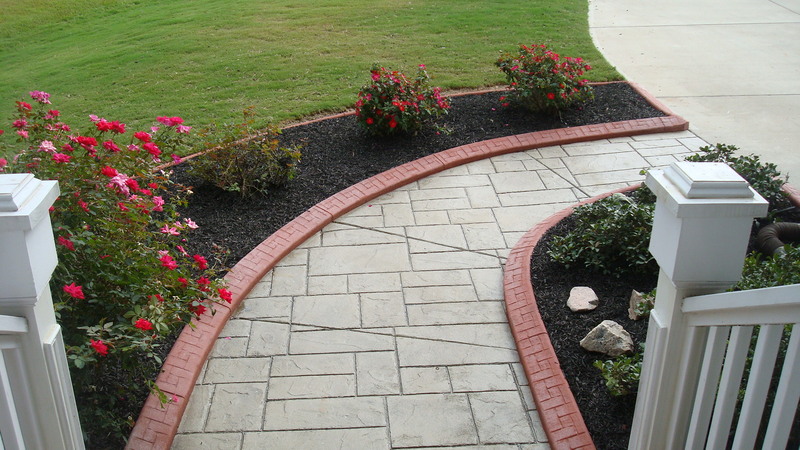 Outdoor concrete has a tendency to look drab and boring. It's one of those features in a yard or driveway that often gets forgotten about. Instead of seeing your concrete as a bland component of your home's exterior, you can use the simple tips below to make it something worth looking at. Here are five ways to spruce up outdoor concrete. Stained concrete is becoming a popular flooring option for home interiors, but most people don't think to stain their exterior concrete. You can make it any color you want, and you can even add patterns to it to make it look like stone. If you're using it in a garage or shop, you can add shiny chips to the top to give it a cool industrial feel. The options are endless. Cultured stone and brick can be a great accent to concrete. You can add this on the edge of a concrete structure, or you could put it in the middle of the concrete. It all depends on what you want it to look like. If you already have stone or brick on your home, you could use the same materials next to your concrete to tie everything together. If you are using concrete for a walkway or something along those lines, you could try changing the shape to make it look different. Add a little curve to the edges so it doesn't look like an unfinished hopscotch course. If you have simple concrete blocks, you could angle them differently so they look unique. Put some patches of grass in the middle of them for a checkerboard pattern fit for the outdoors. If your concrete is old and no longer level, you could see a world of difference just by leveling it out. Concrete leveling is a process that is best left to professionals because it involves going in below the concrete slab and raising it back to its original height. Doing this will make your concrete safe and clean looking all at the same time. A simple power wash can actually do wonders for concrete. It will get rid of surface stains that you may not even know are on there. You can buy a power washer to use on your own, or you can hire professionals to do the job for you. This is a quick, easy fix that will make a big impact on your concrete.